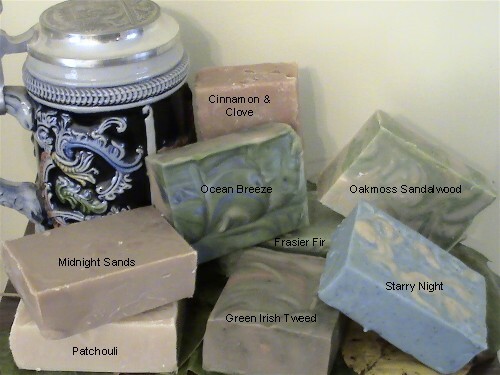 I talked about these soaps months ago, telling you how spectacular they are for skin with their great scents, fluffy lather and skin-nourishing properties. Now that they’re off of consignment and back in my hands, I get the thrill of showing them off. They are beer soaps. All that’s left of the beer in these scrumptious, hefty bars is the extract of the hops, the flower used to give beer its distinctive flavor and one which has long been reputed to have excellent hair and skin conditioning properties. Each bar weighs between 5 and 6 ounces and will last my husband and me at least 10 days in the shower with daily use. Need help deciding on a fragrance? Feel free to email me at sara@sarassoapsnsuch.com and I can help you find that perfect scent for you or someone else. Next Next post: Having a Ball at #SoapConf10!! !